Hot Topic – Is Your Website Secure? This blog is all about making sure that your website or landing page is secure. How do you get that padlock next to the URL and why is it important? The last thing you need, if you have paid to get traffic to your website, is someone bouncing off because your website is not secure! Google Chrome is the most popular browser and this is where you will find this label to the left of your URL. To be secure, your URL must start with https. This stands for: Hyper Text Transfer Protocol Secure. 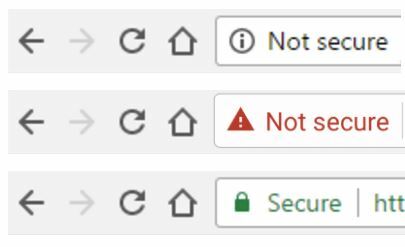 The S for secure is missing on websites that are only http, and are marked with the damning Not Secure label. This sometimes shows in black and can also show in red with a red triangle and exclamation mark icon next to it. 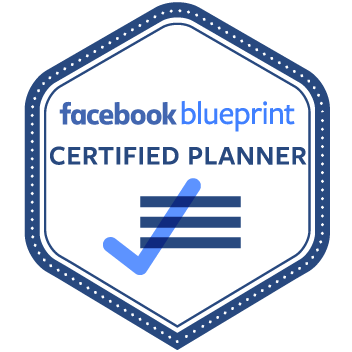 Getting https certified is simple, easy and there is a lot to gain from it. A website that is not secure screams I AM DODGY! This is even more important for an e-commerce business online. What can happen, is that the below privacy message overtakes the screen entirely. This is really off putting for a customer that is looking to purchase and potentially input sensitive and private security information on your website. This discourages the customer from purchasing or logging in; Chrome is protecting its users, any information submitted to a website that is not secure is vulnerable to interception. The https status, via an SSL certificate is there to offer privacy, security and integrity. Browsing insecure sites could put a customer at risk, therefore this can have a huge effect on conversion rates. Chrome warns it’s users that it should not input any identifying information as per the below screen shot. Furthermore, Google uses https as a ranking signal. Google will favour websites that are secure, as its main prerogative is offering its users the best experience possible. Google’s transparency report states that: “Security is a top priority at Google. We are investing and working to make sure that our sites and services provide modern https by default. Our goal is to achieve 100% encryption across our products and services.” There is no reason why your website or landing page should be left as Not Secure as gaining the SSL encryption and green padlock is straight forward. Check your website today and get in touch. SSL certificate encryption is a service that our KMG web developers are happy to offer. Get secure today. https://www.kaumediagroup.com/wp-content/uploads/2019/03/https.jpg 172 343 Hebe O'Malley https://www.kaumediagroup.com/wp-content/uploads/2015/07/logo1.png Hebe O'Malley2019-03-15 12:42:002019-03-28 13:56:02Hot Topic - Is Your Website Secure?